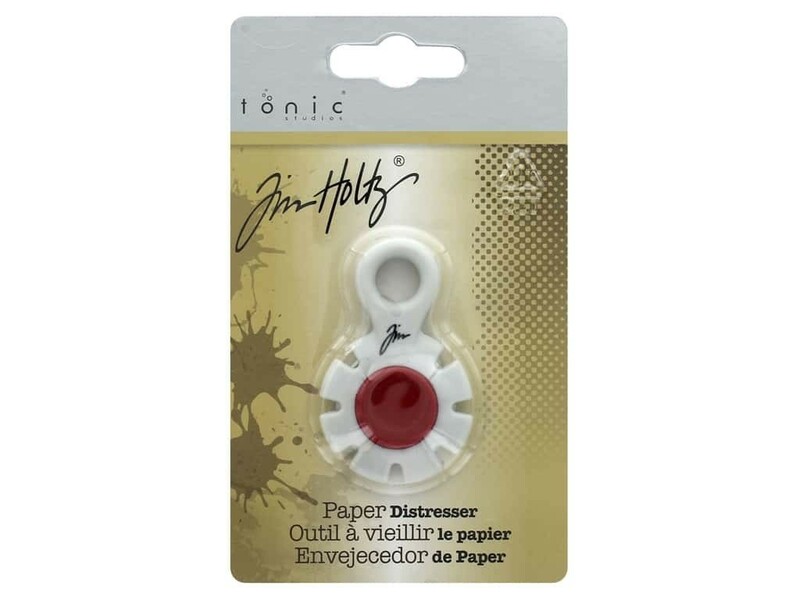 TONIC STUDIOS-Tim Holtz Paper Distresser. This paper distresser has a Kushgrip center for handling comfortably when distressing paper, cardstock, chipboard or even cutting fibers and threads. There are seven sharp recessed edges which makes it safe and easy to use. This distresser measures only 2-1/4x13/8x3/8in and features a molded plastic loop for adding a key-chain or hanging on you peg-board.